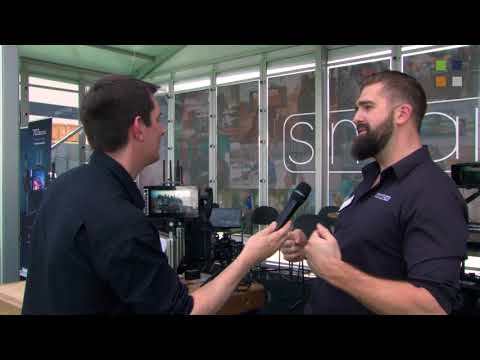 Regarding the new simplified onset wireless monitoring solution, Wes Phillips, SmallHD CEO explains, “With the FOCUS Bolt RX/TX we have created a sleek and capable wireless monitor ecosystem that puts our feature-rich displays in the hands of the director who can freely roam around the set." Transmission in the 5GHz band from a single TX can be received by as many as four FOCUS Bolt RXs within a range up to 500 feet. This allows directors, directors of photography, DITs and lighting directors to view live takes, preview and review scenes, untethered. The FOCUS Bolt system streamlines the wireless workflow in a very convenient way. On a typical shoot, a FOCUS Bolt TX transmitting monitor is located at the camera, connected via a Micro HDMI cable, ready to perform the normal duties of an on-camera monitor and transmit a video signal. That TX monitor transmits the full high definition signal that can be received by RX monitors. RX monitors can also receive input through a Micro HDMI connector, functioning as a stand-alone high definition monitor. These monitors provide an 800 nit 1280 x 720 high definition display, featuring 294 pixel per inch-density. With 10-bit color processing, they display a color gamut of 70% NTSC color accuracy. For convenient viewing by multiple crew members, FOCUS Bolt monitors provide a wide, 160° viewing angle horizontally and vertically. FOCUS Bolt touchscreen monitors utilize the SWIPE interface to the OS3 operating system to provide access to SmallHD’s extensive toolset, which includes Waveform, Scopes, Focus and Exposure Assist, and real-time 3D LUTs. The PageBuilder system allows quick access and customization of the tools on the display. An audio monitoring VU meter can be displayed on the screen as well. Each FOCUS has a built-in full-size SD card slot that provides even more utility. Both models ship with a mounting solution included. The FOCUS Bolt TX gets a camera shoe arm with friction-based tilt mount. The FOCUS Bolt RX comes with a neck strap and a set of lightweight monitor handles that attach natively to the monitor.